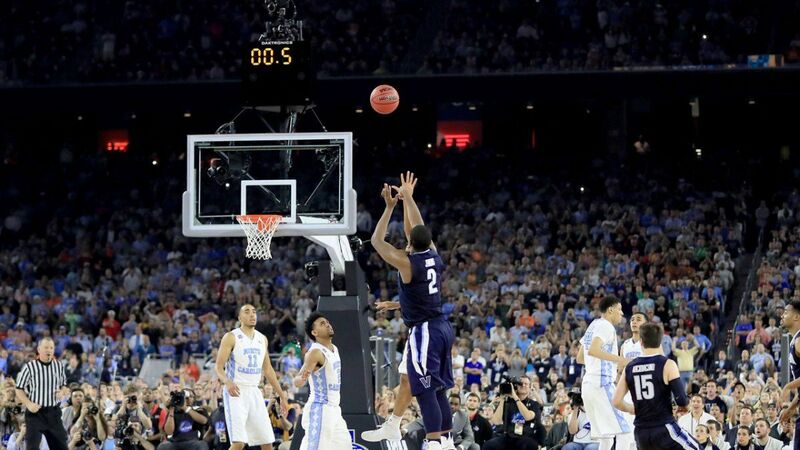 The NCAA released a statement on Friday saying that it would consider reviewing all buzzer beaters during the NCAA Men’s Basketball Tournament, regardless of whether or not those shots actually had an impact on which team won the game. That would be a rule change from how the NCAA handles the end of games in the regular season, during which officials only look at replays of last second shots if the result of the game could be impacted by a review. The announcement came after two incidents in the past week in which last second shots were counted in NCAA basketball games despite the fact that it appeared that those baskets came after time had expired. On Monday, Oklahoma appeared to score after the buzzer against Iowa State, while Creighton did the same against Villanova on Wednesday. Neither 3-pointer had an impact on which team would win the game. However, both shots swung the point spread result for at least some bettors. That led to controversy among gamblers, many of whom either won or lost bets because of the incorrectly awarded points. On Friday morning, the NCAA released a statement that suggested that they had already decided that all final second shots would be reviewed during March Madness. “During the NCAA tournament, we will review all shots made at the buzzer, as necessary, in the interest of accuracy of score and team and player statistics and even if the outcome of the game isn’t riding on the officials’ call,” NCAA Director of Media Coordination and Statistics David Worlock said in a statement. But later on Friday, the NCAA backed away from those comments somewhat. Instead, it appeared that the organization was going to review whether such a rule change was necessary, and no final decision had yet been made. No date has been announced for these committees to get together in order to make a decision on how late-game shots will be handled. However, it would seem reasonable to assume that a ruling will be made before the NCAA tournament, which – in its totality – is the most heavily bet upon event in the United States. Whether or not those rules would apply to regular season games would be a serious consideration for any such committee. While the review process would most directly impact the sports betting industry, which relies on official scores to settle wagers, it could also affect analytical systems like the NET ratings, which are used to help select at-large teams for the NCAA tournament and include margin of victory as a component. The post NCAA Considering Reviewing All March Madness Buzzer Beaters to Clarify Results for Gamblers appeared first on Casino.org.